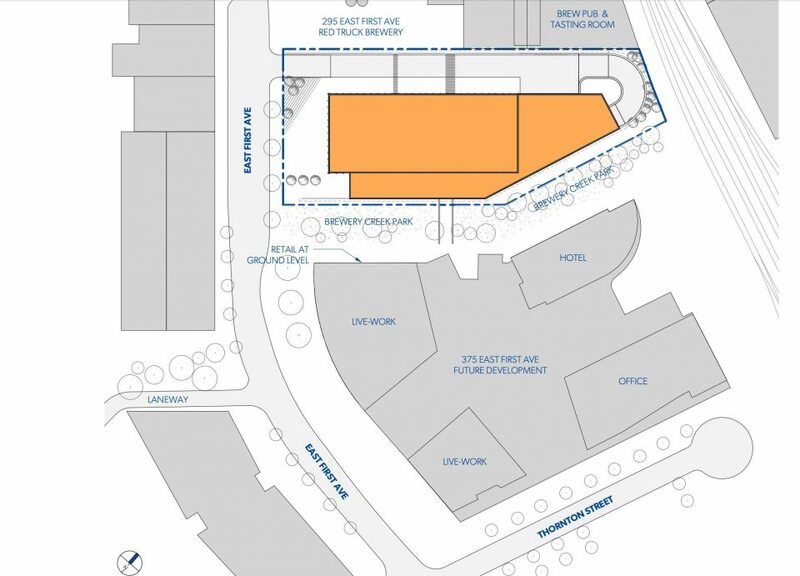 A development permit has been filed for a seven-storey office building on the False Creek Flats. 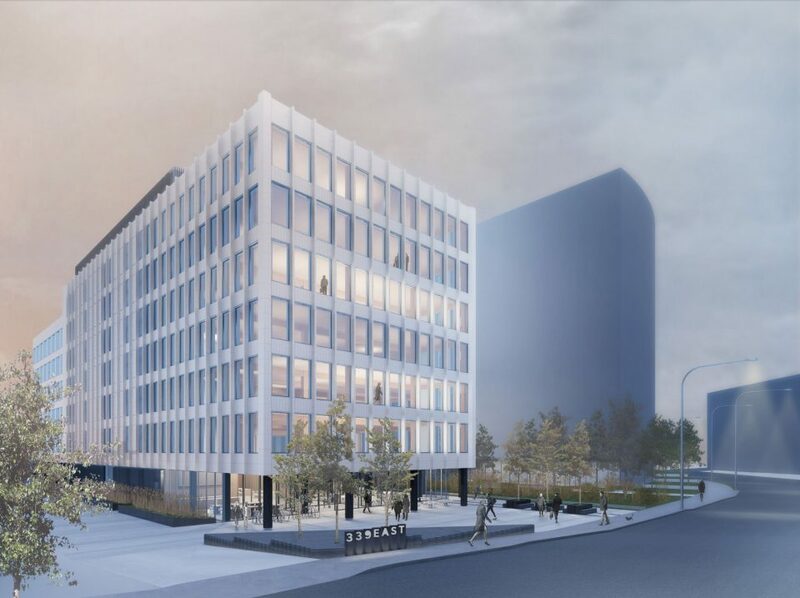 Triovest Realty Advisors (BC) Inc. is behind plans for the building at 339 East 1st Avenue next to Red Truck Brewery, and adjacent to an upcoming development by Onni Group, including two live-work towers, a hotel and an office tower. 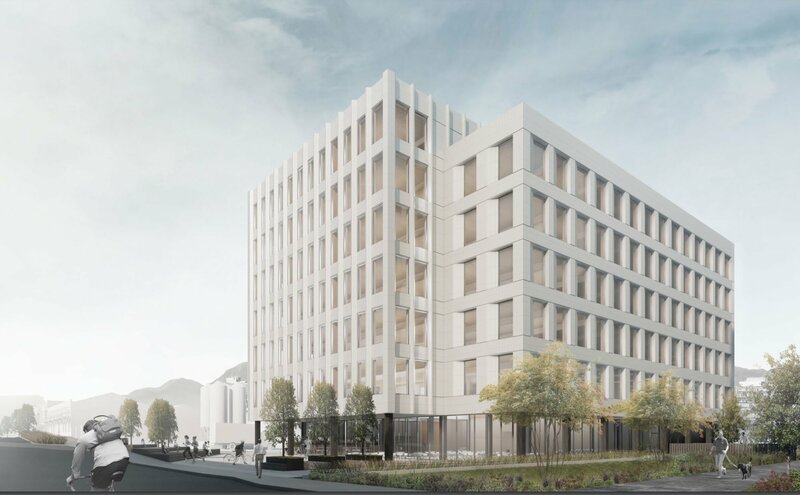 Rendering of the live/work and hotel building at the proposed new Onni four building development adjacent to the new Emily Carr University. 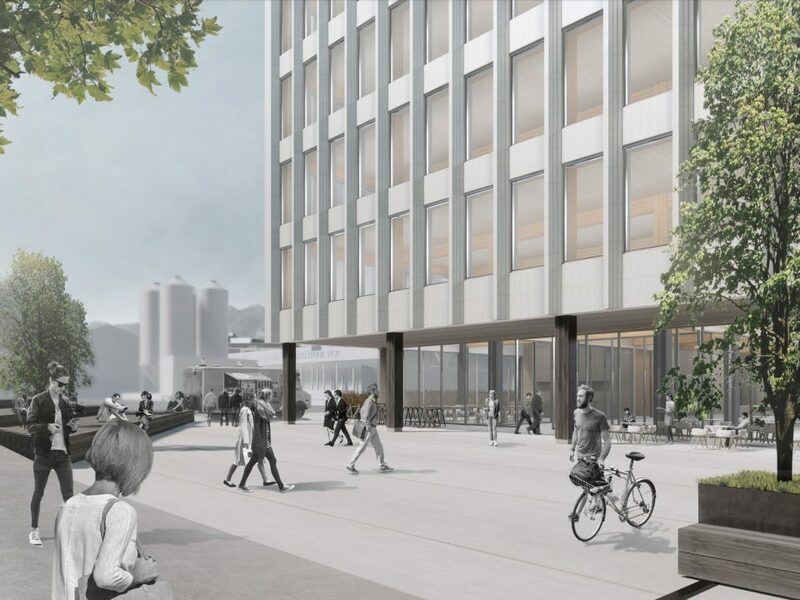 The new building will be clad in white terracotta, described as a “highly durable, and natural material with good acoustics qualities” by the architect, MGA Michael Green Architecture. A restaurant and amenity space will make up the ground floor. There will be rooftop terraces with landscaping on levels seven and eight. 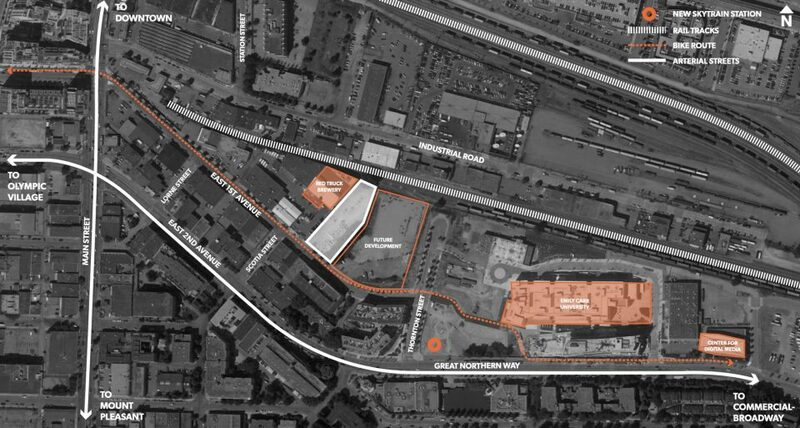 The building sits towards the north of the site, which will create a modest plaza that links to adjacent sites. The architect hopes the southern exposure of the public plaza will make for a highly-used and valued public space. The development will constructed to LEED Gold standard. The building will have two levels of underground parking, with a total of 196 parking spaces. That’s a 30 per cent reduction in the number of parking spaces required by the city, as the building is 240 metres from a future SkyTrain station at East 2nd Ave. & Thorton St., as part of the extension of the Millennium Line to Arbutus.